How to transmit small chunks of information? Pieces of information not directly usable to reach objectives can be unseen by users. However they can enrich her understanding of the domain to learn. Use loading screens to provide random chunks of information. Most of games require small phases of loading where the user cannot play but is looking at the screen. These phases are sometimes used in games to provide game tips. 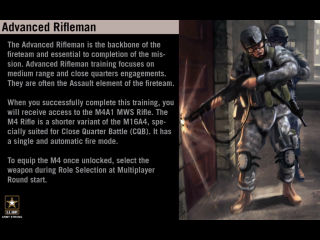 In Serious Games, it can be used to provide small pieces of information of the domain to teach. 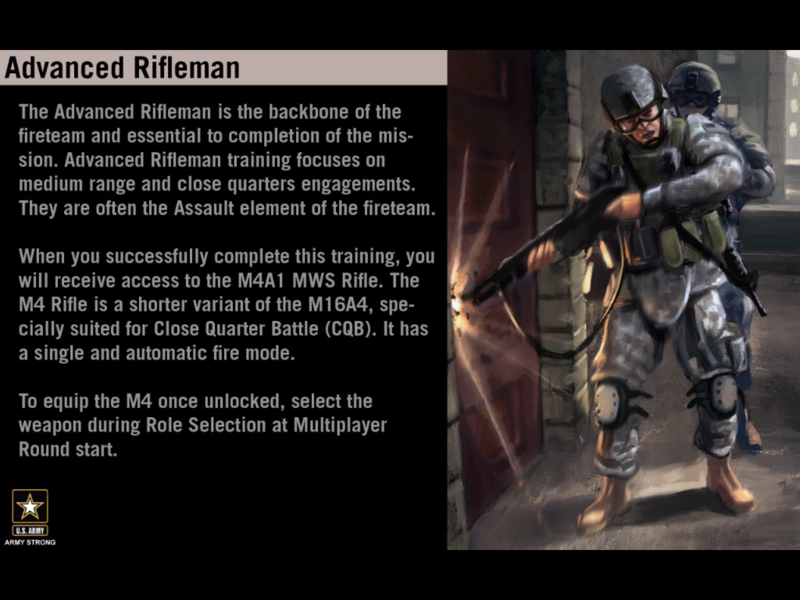 For example in Americas-Army, a Serious Game making discover the USA army, some loading screens present pieces of information on military units and weapons (see picture).